Gallura: a unique terroir dedicated to viticulture. Vigne Surrau expands in northwestern Gallura, a few kilometers from the sea, a unique terroir characterized by granite rocks smoothed and shaped by the wind and wate, with a dense and typical Mediterranean scrub. The innermost part of Gallura is instead characterized by forests of oak, cork and olive trees. The subsoil is mainly granitic; the more coarse the texture of the soil, the better the vines develop, since they can easily deepen their roots: sandy soils and therefore rich in gravel are particularly suitable for viticulture and result in aromatic wines, pleasant and with good alcohol content. The soil characteristics combined with unique climatic and environmental factors, constant sun and wind, make of Gallura one of Sardinian and in general Italian areas most suited to viticulture, with a particular predilection for growing Vermentino. Surrau vineyards expand a few kilometers from the sea in the eastern part of Gallura, a unique territory characterized by granite rocks shaped by the wind and water, with a dense but typical Mediterranean scrub. The subsoil has a mainly granitic origin; sandy soils and therefore rich in gravel are particularly suitable for viticulture favoring the root deepening and giving rise to fragrant wines, pleasant and with good alcohol content. The soil characteristics combined with unique climatic and environmental factors, constant sun and wind, make of Gallura one of Sardinian and in general Italian areas most suited to viticulture, with a particular predilection for growing Vermentino, which shows its highest quality expression through the Vermentino di Gallura DOCG appellation, only DOCG in Sardinia. The vineyards, with a south-east exposure enjoy the Mediterranean climate in well ventilated hilly areas. The wind, typical of Gallura, allows us to obtain healthy grapes and thanks to the proximity of the sea, brings sapidity, particularly appreciated feature in our wines. The training system is "Guyot". The Vigne Surrau estates develop on a total area of about 50 hectares, located in seven different areas, all in the Arzachena territory. Juannisolu vineyards: in a beautiful naturalistic landscape setting, this 15 hectares vineyard is the largest of the company. At an altitude of about 150 m. above sea level and a few kilometers away from the sea, grow Vermentino, Cannonau, Carignano, Muristellu (Bovale Sardo) and a small percentage of Cabernet Sauvignon and Syrah. Surrau, Moro and Spridda vineyards: a total of about 20 hectares growing entirely Vermentino. Pastura vineyards: 7 hectares growing mainly Vermentino, Cannonau and other red berry grapes. Andrea Gusi vineyards: 5 hectares of Vermentino and Caricaggiola, native red berry varietal from Gallura, recovered by the company with the experimental improvement project of the historical varieties. Chilvagghja vineyards: 3 hectares of Vermentino and Cannonau surrounding the winery. The work in the vineyard and the grape harvest are manual and the vineyards meet the highest quality requirements of viticulture in terms of plant density (number of vines per hectare), low yield per plant and management of exposed leaf surface. The proximity of all the vineyards to the winery guarantees the highest quality of the grapes, the latter, manually harvested in small boxes, quickly reach the cellar and are processed immediately. 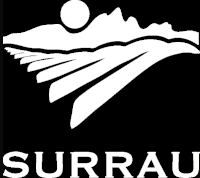 Surrau estates, with different extensions and location are dedicated to the cultivation of different varieties and all have the best exposure facing east, southeast. The vineyards are located between 50 and 150 meters above sea level on soils that are mainly sandy, with granite weathering structure, typical of north-western Gallura, with an excellent drainage of rainwater, where Vermentino finds its natural and best habitat. The soil features confer the unique and characteristic minerality of Vermentino di Gallura DOCG. The climate is warm temperate, with mild winters. Rainfall is concentrated in autumn and winter during the dormancy period of the vines, with some rain in spring during the vegetative growth anyway still lower than 700 mm per year. Another typical feature of our area is the wind, that allows us to obtain healthy clusters and thanks to the proximity of the sea, brings sapidity to our grapes, particularly appreciated feature in our wines. The vines meet the highest quality requirements of viticulture in terms of plant density (number of plants per hectare), low yield per plant, excellent management of exposed leaf surface. The vineyards processes are all manual. The most widely used training system is Guyot, with the exception of the spurred cordon used for the Carignano variety.